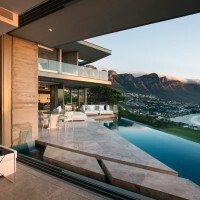 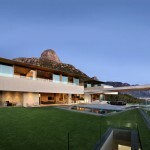 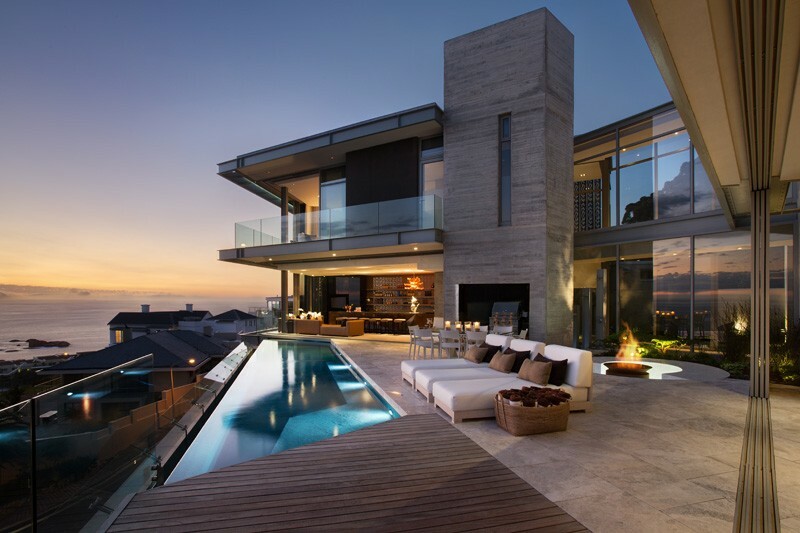 SAOTA and Janine Lazard Interiors, have completed a contemporary family home in Cape Town, South Africa. 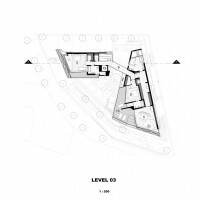 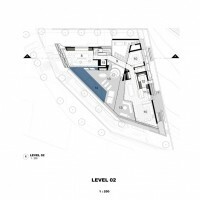 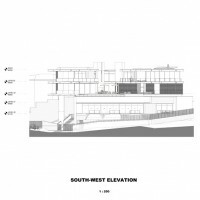 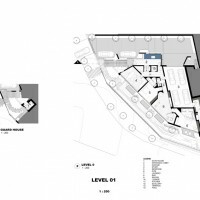 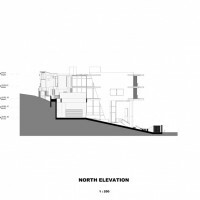 “The owners brief was to design a flexible contemporary family residence. 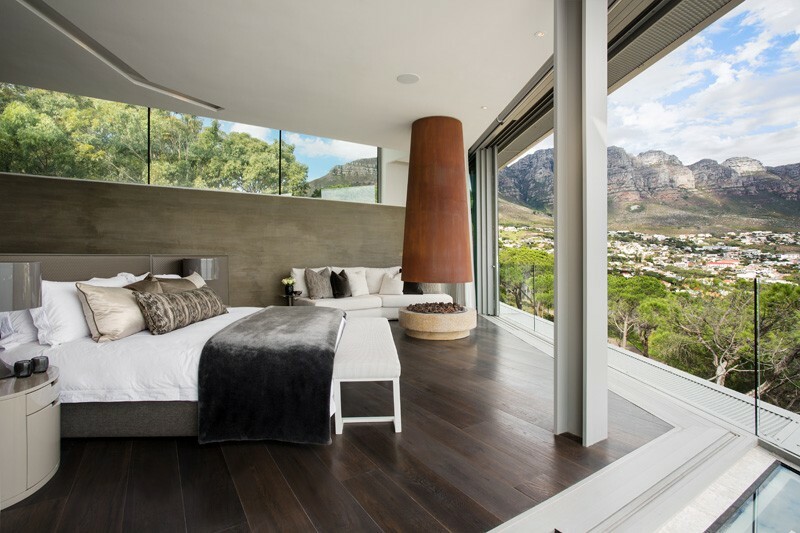 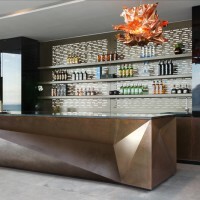 The site was spectacular requiring a design that could respond to a challenging slopped corner site and its aspects” says Thaabe Ramabina of SAOTA. 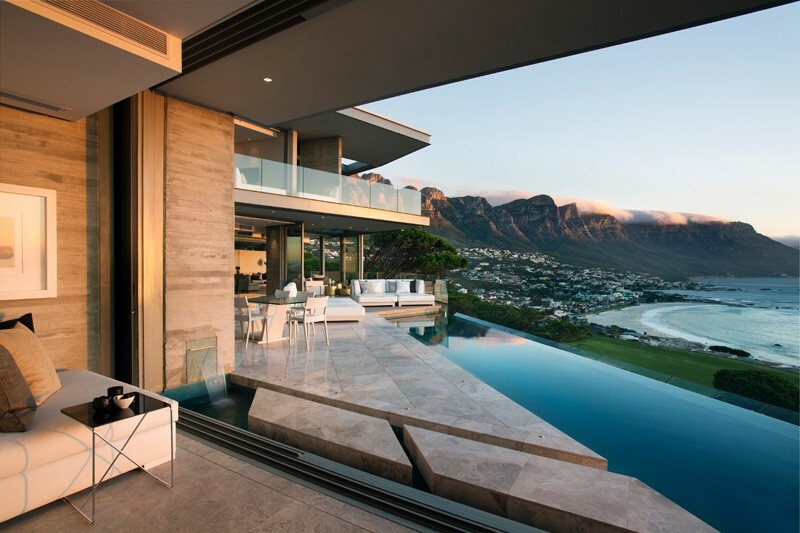 The site is positioned on the ridge below Lions Head with 270° views of the Atlantic Ocean, Camps Bay and the Twelve Apostles beyond. 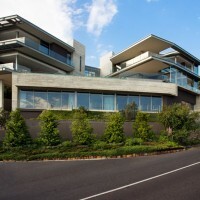 A key strategy to create a generous level for principal living rooms was to elevate the main level on a plinth comprising of guest bedrooms and secondary spaces such as the Gym, Study, Garage and all plant This Ground Floor is partially set into the steep site thereby maximising the living level and raising it above the noisy provincial road. 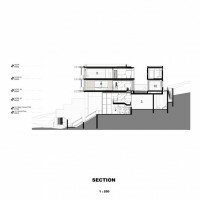 The First and Second Floors were then set back, fragmented and rotated to create a central but sheltered external terrace. 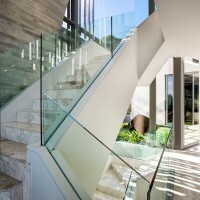 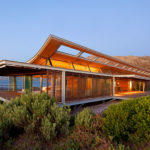 A glass bridge forms the link between the fragmented structures at the upper levels and permits North sunlight to shine between the bedroom wings and into the central areas on the South side of the house. 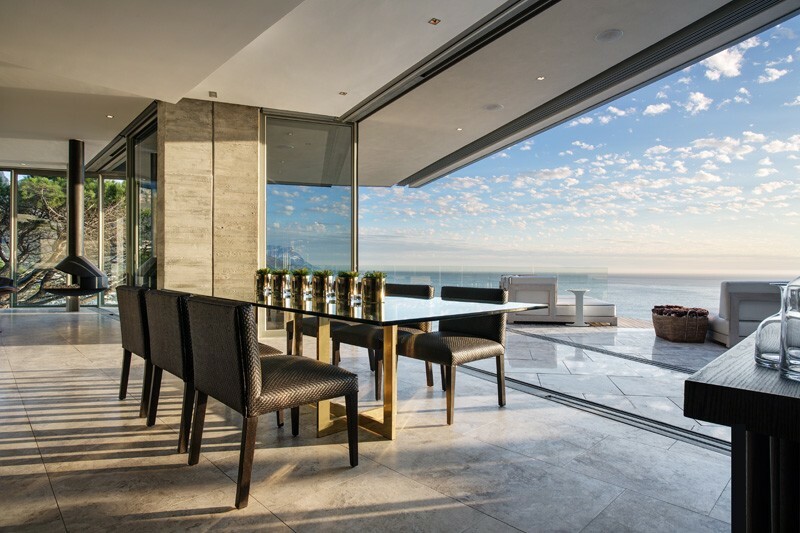 Generous overhangs, external sliding shutters and perforated steel and aluminium eaves assist with naturally shading the facades. 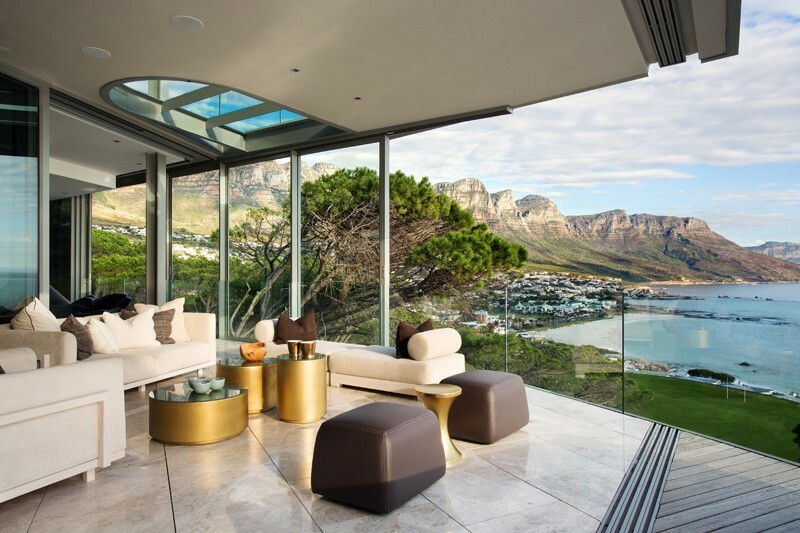 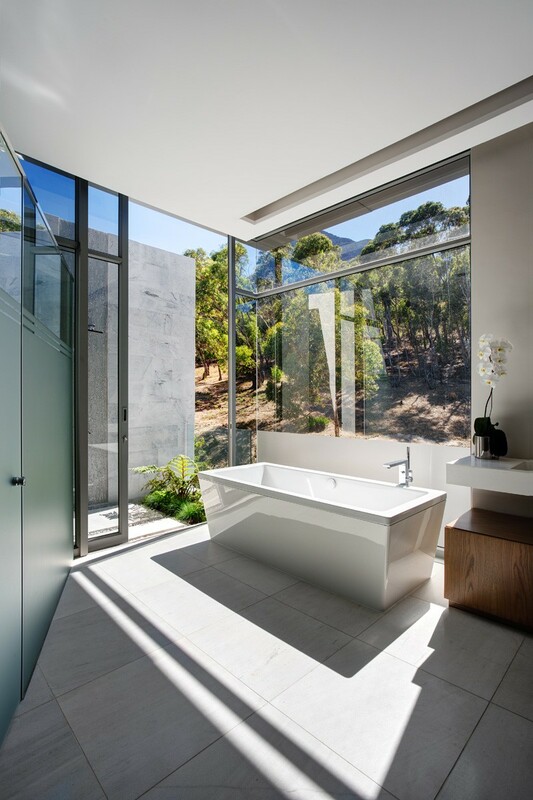 All doors and windows have performance glazing and are mostly full height which, together with the careful arrangement of internal spaces, ensured that the magnificent views are optimised for all rooms. 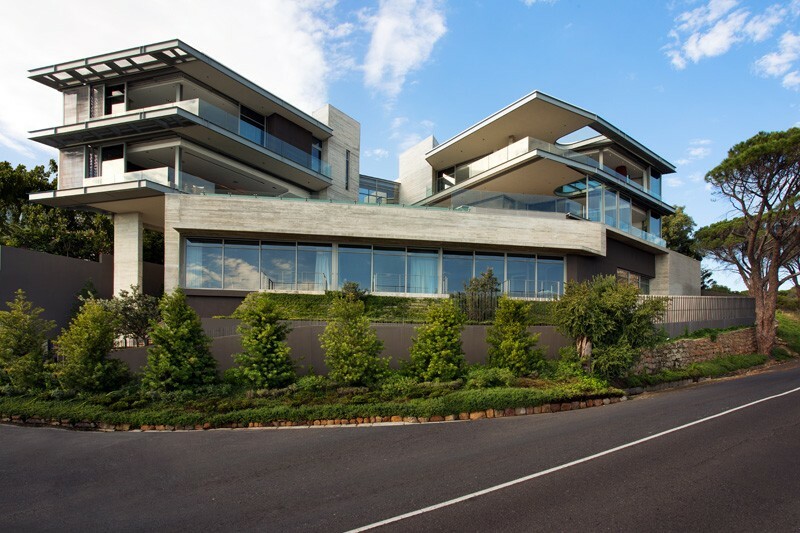 Landscaping was also a priority; 7 yellow wood trees were soften the verge and lush vegetation conceals retaining structures; on the level above a more formal lawn helps relocate the living areas on their elevated plinth.